Changing What's Normal - Ian Berry's Blog: Where do you stand on the accountability ladder? Fundamental to my work with all my clients is helping them to have appreciation and accountability conversations every day. 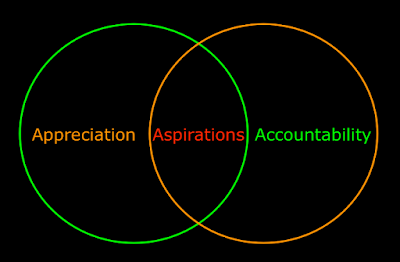 They're about appreciating people when they do well and helping people to be accountable. 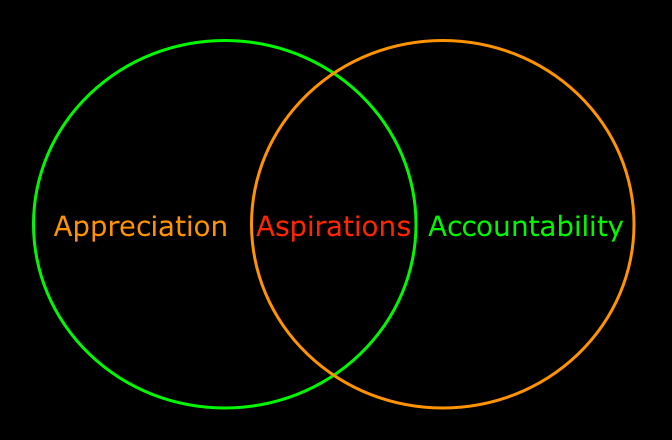 Both are crucial in everyone achieving personal and business aspirations. Accountability is a mystery to many. 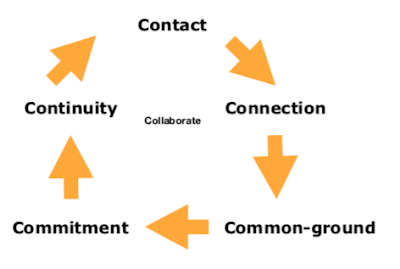 I was thrilled therefore to see the model below courtesy of a LinkedIn post 'Be true to yourself' from my friend John Toms which you can read here. How will you be more accountable this week? How will you help others to be more accountable this week? 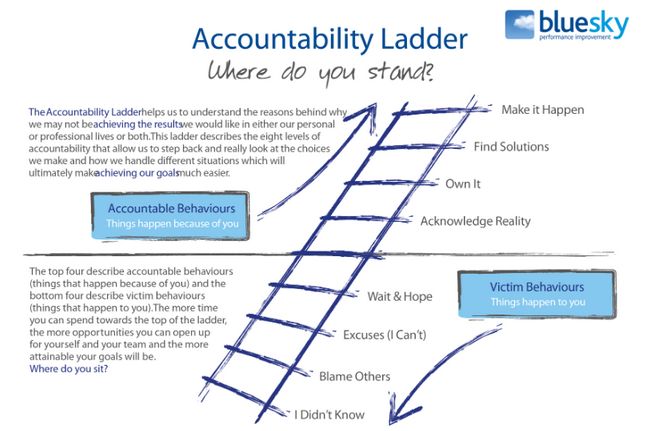 More about the accountability ladder here.